Leandra Rexhepi is the designer behind Anthea, a new brand identity for a flower and gift shop located in New York. The stationary is very elegant due to its great serif typography and soft green and rose color tones. 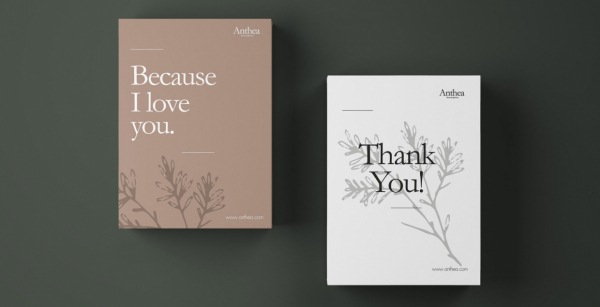 The corporate Design includes, bags, collections and packaging boxes and papers combined with well written short notes that emphasize the importance how much one cares about the other. We say well done! The post Anthea Branding appeared first on Mindsparkle Mag.